IN IRELAND WE’RE lucky to be surrounded by so much wonderful history – and an insight into the most fascinating historical lives can be found in the country’s graveyards. 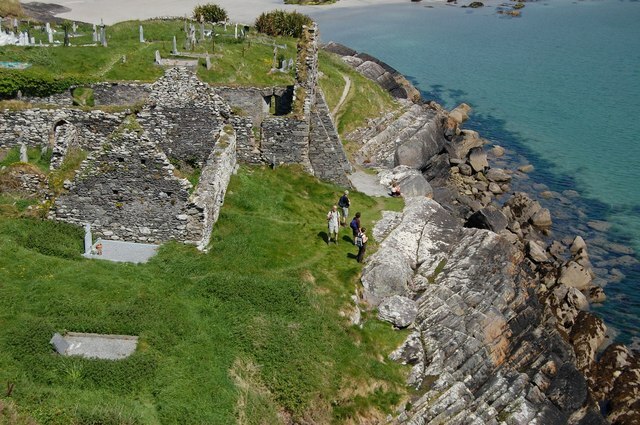 Just outside the town of Caherdaniel on the south west coast of Kerry lies this wonderful ruined Abbey that can only be accessed by walking over the beach. It becomes an island when the tide is in – so you can only reach it at certain times of the day. It’s home to some historic graves as well, with Daniel O’Connell’s wife Mary buried on the grounds. Given its views over the Atlantic, it’s probably Ireland’s most picturesque graveyard – and a must see for anyone visiting the area. In the grand pecking order of Irish graveyards, Glasnevin is pretty much at the pinnacle. The site is full of famous historical figures’s graves and the museum tour and guides are top notch. There’s even an interactive map that shows you just how many important people were buried here - from Michael Collins to Brendan Behan and many, many others. A must-visit for lovers of history in the capital. A very historic site in Northern Ireland, this graveyard dates back to around 1690. The local legend of Marjorie McCall - the woman who ‘lived once but was buried twice’ – will forever be associated with the graveyard, and certainly makes for, ahem, interesting reading. This old cemetery was built in 1718 in Fairview and is one of the capital’s most famous – as it’s said to have inspired Bram Stoker’s Dracula. Stoker grew up in the Fairview area and used to visit as a child, as legend would have it. This was the year in the Hebrew calendar – which translates to 1857, the year the gatehouse was added to the graveyard. The burial place of Arthur Guinness, this medieval landmark is reputed to be the spot where Guinness’ grandfather first started selling home-brewed ale. Oughter Ard has a castle dating from 1636 on its site, a round tower and the church where the graveyard suits as well. This old cemetery dates from 1693, and is situated on Merrion Row – just off Stephen’s Green itself. It’s not open for visitors, but you can see inside through the old gates into the manicured garden – and there is a plaque on the left wall with the 239 names of those buried inside. The cemetery is located on Blackhorse Avenue beside the Pheonix Park in Dublin, and is home to British military personnel who were stationed in Ireland. The Irish National War Memorial Gardens is also a short walk away from the site in Islandbridge, and is a monument to all Irish soldiers who died in World War I. Home to Lady Gregory – the Irish literary figure – and other notable figures, Bohermore was opened in 1880 and is usually referred to as the new cemetery. It’s situated to the North East of Galway city itself, and some of the graves themselves are known for their extravagant design. Along with Glasnevin, Deansgrange Cemetery is one of the largest and most notable graveyards in County Dublin. Among the famous names buried there are comedian Dermot Morgan, writer Flann O’Brien, former Taoiseach Seán Lemass and about 50 people connected to the 1916 Easter rising as well. Three Earl of Ormonds are buried in the grounds of Canice’s Cathedral in Kilkenny, just down the road from their family base in Kilkenny Castle. The small graveyard surrounds the huge Cathedral and Round Tower that sit atop the hill, looking down over the city. There is also a group of memorial stones dedicated to the Smithwick family, who started the historic brewery that made its famous stout a short walk away. Only 500 people are buried on the grounds of Dublin 8′s famous St. Patrick’s Cathedral, but one of them is Jonathan Swift. On top of the small graveyard, St. Patrick’s is one of Dublin’s most beautiful Cathedrals, and it’s close to the city centre as well. 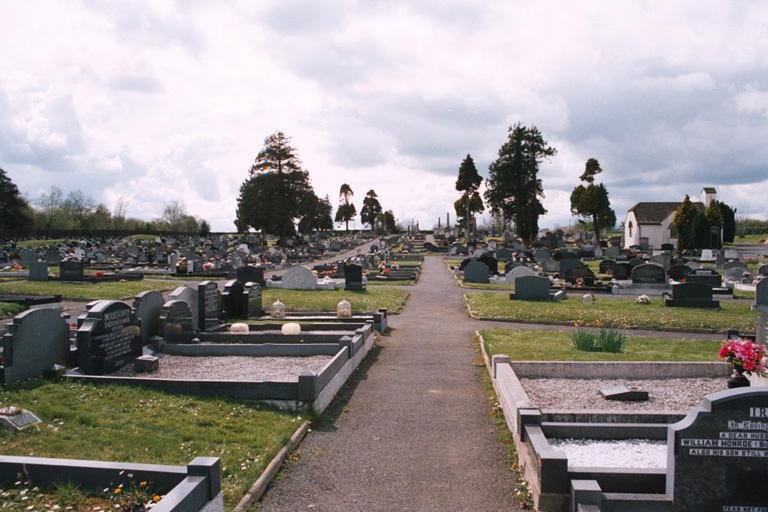 Email “11 graveyards to visit in Ireland before you die”. Feedback on “11 graveyards to visit in Ireland before you die”.